For an afternoon spent exploring one of the best-conditioned plantation ruins on the island, find your way to Annaberg Sugar Plantation. Named after Salomon Zeeger’s wife Anna, Annaberg Plantation was a leading producer of sugar, molasses, and rum back in the 1800’s. Today, Annaberg Sugar Plantation is protected by the Virgin Islands National Park. Here are 4 reasons we think you should visit Annaberg Sugar Plantation. The Windmill at Annaberg is the main focal point at the ruins and the largest windmill in the Virgin Islands. Built between 1810 and 1830, the windmill could produce between 300 and 500 gallons of juice within an hour. Slaves were used at the plantation to pass the sugarcane through rollers which then made the juice that was caught below and stored until ready for processing. When there was no wind, a horse mill was used to continue making the sugar. These remains can still be seen at the plantation today. The Boiling House is a spot at the ruins where you can actually go inside and see where the heating kettles used to sit. The walls of the Boiling House were made of volcanic rock and mortar and are an interesting sight to see up close. The kettles were the first place the juice from the sugarcane would flow. After the water would evaporate, slaves would transfer the juice through a total of 5 kettles during the process. Slaves played an important role in the production of the sugar at Annaberg Sugar Plantation. There were 16 slave cabins found which have since deteriorated. Today there are informative plaques describing their location. The slave cabins were made of branches woven together and the roof was made of palm leaves. Slaves were used on the sugar plantation for many different jobs including planting, harvesting, clearing the land and processing the sugarcane. When you visit Annaberg Plantation, go and see the ruins but stay for the views. The views are nothing short of breathtaking at the Plantation. Looking out from Annaberg, you can see Leinster Bay, the Sir Frances Drake Channel and a few of the British Virgin Islands. The plantation is also within walking distance of Waterlemon Cay which is a perfect spot for snorkeling. For more information on how to schedule a ranger-led tour, visit the Virgin Islands National Park website for more details. There is a fee for adults. And when you have finished sightseeing for the day, there’s nothing like returning to your luxury vacation rental to kick up your feet and relax. Here at CimmaronStJohn, we have a team ready to help you with every detail of your St. John vacation from picking you up at the airport to helping you plan fun activities around the island. When booking your getaway, don’t forget to check our list of current specials. 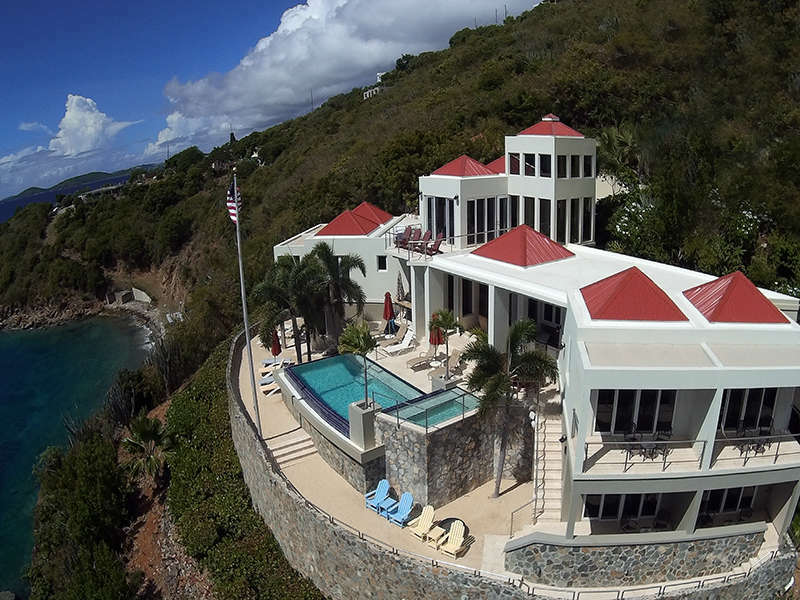 For additional questions or to start booking your trip to St. John, give us a call at 340-715-2666.